Smart cities and smart grids are among the focus applications at US-based National Instruments (NI)’ Arabia region operations, an official says. The company, which supplies automated test equipment and virtual instrumentation software worldwide, is also focusing across its Arabia region on radio frequency (RF) and wireless communications, tests and measurements and condition monitoring “following the concept of the Internet of Things where all things from man to machine can be connected,” said Nancy Dib, NI’s technical marketing manager. Condition monitoring relates to machines – measuring the health of large assets that are mainly found in oil and gas and power generation industries. It also includes structural monitoring, for monitoring the health of large structures such as bridges and towers. “NI provides powerful, off-the-shelf solutions that engineers and scientists can tailor to multiple application needs now and in the future,” said Dib. NI customers drawn from nearly every industry—from healthcare and automotive to consumer electronics and particle physics—use NI’s integrated hardware and software platform. The company has a presence in aerospace and defence, solar energy, wind energy, oil and gas, electronics, automotive, semiconductor, structural test, electronics, electrical power, and many more. Aiming to empower engineers in emerging countries such as North Africa, the Levant, Turkey and Pakistan to achieve sustainable prosperity, NI started its Planet NI Programme in 2008 which provides increased access to NI technology. Dib elaborated: “Planet NI is designed to help SMEs to face today’s increasing competitiveness in the market and provides them the state-of-the-art technology tools that can improve productivity and effectiveness. It goes far beyond giving a copy of LabVIEW or a lab donation. NI tools require a complete ecosystem of products including PCs, power, training, access to technical support, and technical consultations which we provide. “Our mission to equip engineers and scientists with tools that accelerate productivity, innovation, and discovery extends into education also. The Academic Programme aims to serve future scientists and engineers with affordable, relevant access to the same tools and technology and allows them to ‘Do Engineering’. “We are working with almost all the major universities in Pakistan, for example NUST, COMSATS, UET, Mehran University, Air University, etc. NI platforms and LabVIEW have been adopted by these institutions for teaching engineering and science concepts as well as conducting advanced research to better service the industry.” Pakistan comes under NI’s Arabia office. Among products NI has launched in recent years in its Arabia region is the High-Performance VSA and Spectrum Analyser up to 26.5 GHz. This vector signal analyser (VSA) offers 765 MHz of bandwidth with best-in-class measurement performance and speed. This high-performance microwave signal analyser meets the challenging requirements of applications such as wireless communications, radio frequency integrated circuit characterisation, radar test, and spectrum monitoring and signal intelligence. 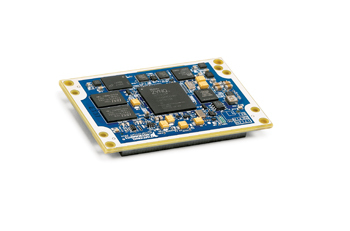 NI also released the first NI System On Module (SOM), the NI sbRIO 9651, for embedded control and acquisition. It combines the Xilinx Zynq all programmable system on a chip (SoC) with supporting components such as memory on a small PCB and features a complete middleware solution and ready-to-go Linux-based real-time operating system (RTOS) already integrated. From a measurements point of view, NI has released the NI reconfigurable oscilloscope, the NI PXIe-5171R an 8-Channel High Resolution Oscilloscope, 14-Bit, 250 MS/s channels packed onto a single high bandwidth PXIe module and the NI Virtual Bench all in one instrument: a new radically practical concept of benchtop instrumentation which includes five essential instruments, one device, and an intuitive software interface. Moreover, NI introduced InsightCM Enterprise, a new software solution that helps companies gain insight into the health of their capital equipment for machine maintenance and operations. It is an end-to-end software solution that addresses Big Analogue Data challenges and builds on the industrial Internet of Things. “NI keeps on investing in updating and enhancing the performance of its products; the above are just examples on the new releases from NI this year. NI makes sure that at least 16 per cent of its revenue goes back to R&D,” said Dib. Commenting on growth prospects for NI Arabia, Dib said revenues had risen over the years and the trend was expected to continue. “Our customers have seen success with our platform-based approach and this is the biggest source of optimism and inspiration for NI,” she observed. NI has three manufacturing sites, one in Austin, Texas, another in Debrecen, Hungary, and the third in Penang, Malaysia. It has had a long-term record of growth and profitability and in 2014 it achieved record annual revenue of $1.24 billion. The company tracks the performance of its direct material suppliers with quarterly business reviews and a supplier scorecard, which uses a scoring system that tracks the existence of social, environmental, and ethical programmes. These manufacturing sites are certified to ISO 14001, which is a series of international standards that cover environmental aspects that the organisation controls and can influence. NI provides powerful, flexible technology solutions that accelerate productivity and drive rapid innovation. From daily tasks to grand challenges, the company helps engineers and scientists overcome complexity to exceed even their own expectations. For nearly 40 years, NI has worked with engineers and scientists to provide answers to the most challenging questions. Through these pursuits, NI customers have brought hundreds of thousands of products to market, overcome innumerable technological roadblocks, and engineered a better life for people. 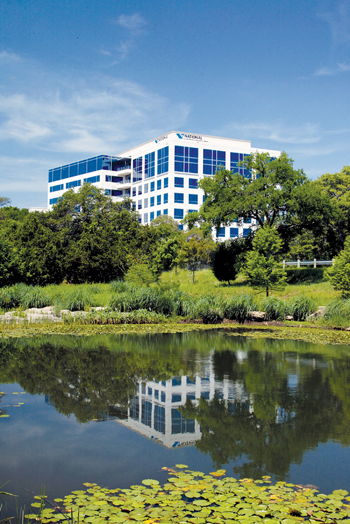 The company serves a customer base of more than 35,000 companies annually. Companies like Airbus, Subaru, Qualcomm and National Grid feature in this list. While Airbus has reduced development time by 10 times by adding intelligence to the tools and shopfloor systems using NI products, National Grid gained visibility and access to critical turbine performance data for 11 GW of wind power. Subaru reduced the overall test time by 94 per cent compared with manual testing and Qualcomm Atheros reduced test time by 200 times compared to traditional instrumentation.